Since I spent Father’s Day weekend at the beach with my wife and kids, I’ve had no time to prepare a post for today. Instead, please accept my sincere wishes that you and your’s had a good and barbecue-fueled Father’s Day. 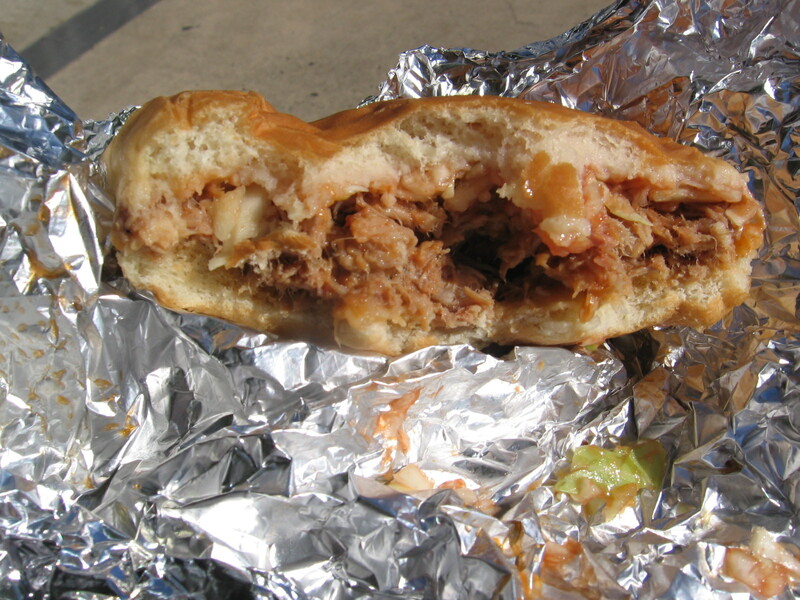 In lieu of a post, my gift to you dads out there is the below half-eaten BBQ sandwich from last year’s Barbecue Festival in Lexington. Hey, it’s better than another tacky tie, right?